Ahoy Mates! Dock your ship and get ready for an adventuring party with Loralee's buccaneer pirate collection! Start your pirate party off with a big buccaneer welcome! This welcome sign on a pirate treasure map measures 11" x 17" and is printed on 110 lb quality stock. 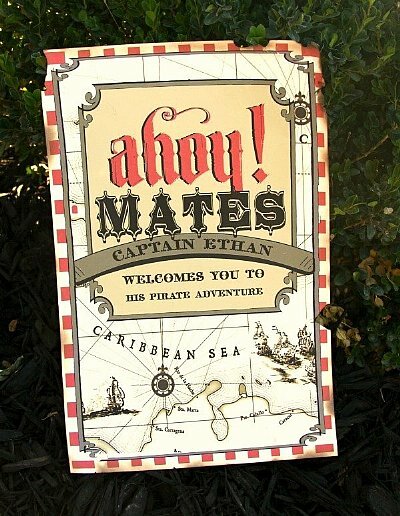 With buccaneer colors and pirate fonts, this welcome sign comes predesigned or can be personalized with the guest of honors name. Please choose your option in the dropdown box below.